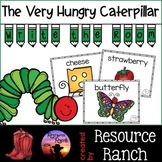 This write the room is great for for your butterfly or Eric Carle unit. Hide the word cards around the room. Have the children then walk around finding the clues and recording them onto the worksheet. My class loves using clipboards and being "detectives" to find the words in the classroom. 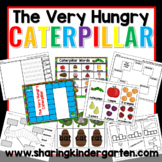 Cute The Very Hungry Caterpillar Writing Activity. Great for 1st graders learning about the life cycle of a butterfly! After reading "The Very Hungry Caterpillar" by Eric Carle, have students write what they would eat to stay healthy if they were the very hungry caterpillar. Students can then draw a picture of their caterpillar selves eating that healthy food. Help your students learn and identify their sight words with this fun activity. Students will walk around the room, write the sight words they see and read them to a buddy!!! This work is licensed under a Creative Commons Attribution-NonCommercial-NoDerivs 3.0 Unported License. If I was the Hungry Caterpillar sentence starter!